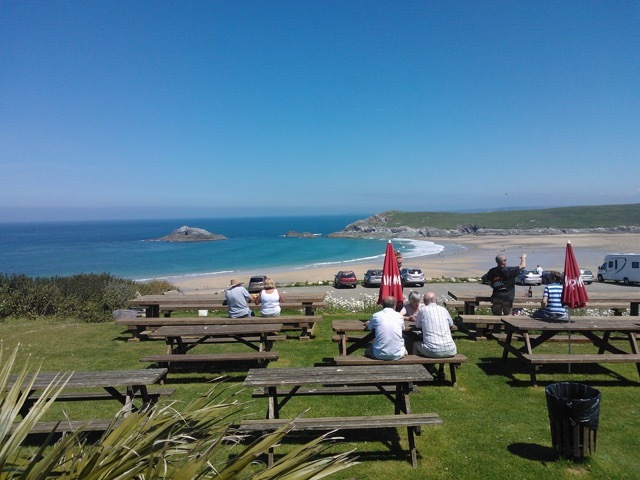 The pub has panoramic coastal views of Crantock, the Gannel estuary and the dramatic headlands nearby, as well as the gorgeous expanse of the North Atlantic Ocean. ‘Bowgie’ is Cornish for ‘cowshed’, as up until the 1950s it used to be a farm building. Andy Pickles, who has now owned the pub for 43 years used to grow potatoes in the field on the cliff edge to make pub chips! The Bowgie’s owner, Sally had a close encounter last summer with a seal whilst sea-swimming, which sparked her initial interest in seals in Cornwall. CSGRT contacted the Bowgie after they shared footage of the seals on their social media site. 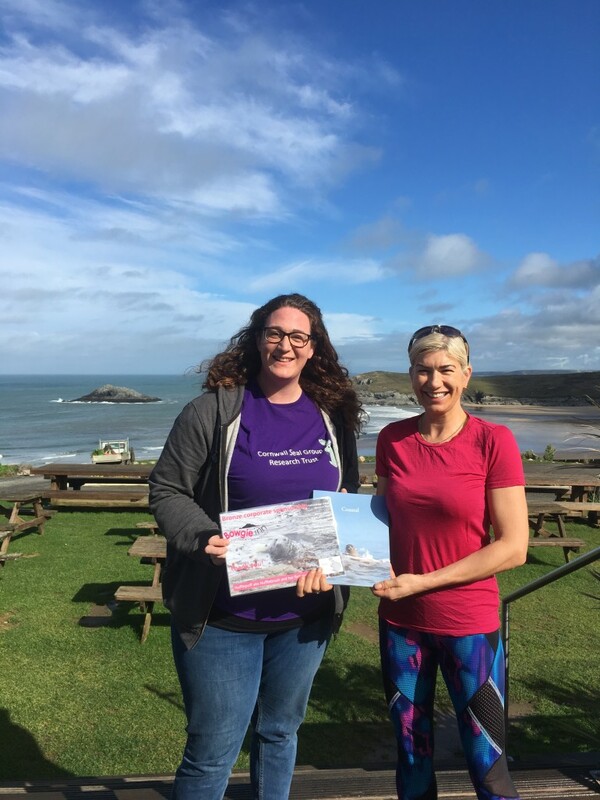 Katie (CSGRT’s Research Ranger) visited the Bowgie and gave a presentation to give some further information and resources to the team, so that they are now happy to educate their customers about seals too! Photos thanks to Lizzi Larbalestier. 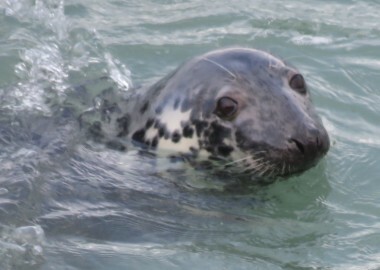 The Bowgie team say they ‘support the community and stunning natural environment as much as possible, and couldn’t be happier to be working alongside the Cornwall Seal Group Research Trust to raise awareness and support the protection of Grey Seals’, ‘The charity are extremely inspirational and we are proud to be the first small business to sponsor them’. 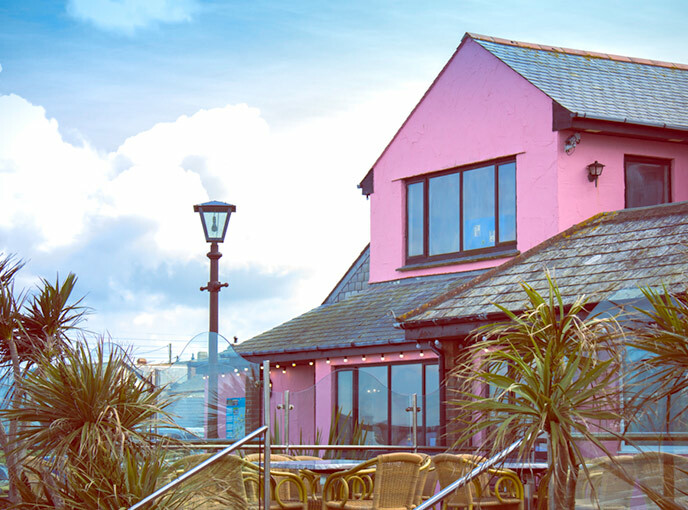 CSGRT are really excited and proud to be partnering with the Bowgie Inn, who are our first Bronze corporate sponsor. 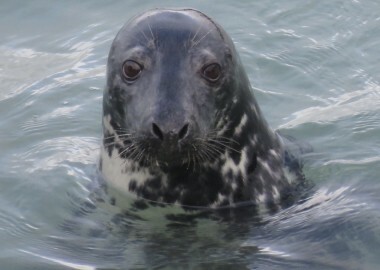 It’s great to be working alongside local businesses to protect our wonderful grey seals. 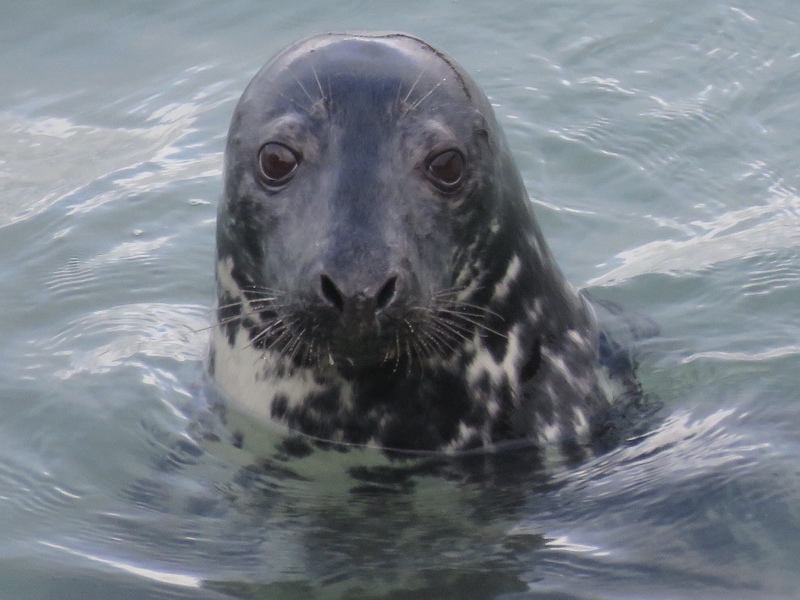 If you are interested in being a business sponsor to Cornwall Seal Group Research Trust, please don’t hesitate to be in touch!